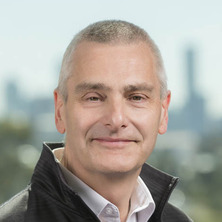 Nick Shaw was appointed to the School as Professor in January 2004 and undertook the role of Head of School of Pharmacy at UQ from 1st July 2004 until 31st December 2014. Nick is a pharmacist, graduating PhD from the University of Manchester in 1985 and was a member of the academic staff of the University of Nottingham from 1985-2003. He was appointed a Fellow of the Royal Society of Chemistry in 1994 and a Fellow of the Royal Pharmaceutical Society in 2010. He previously founded and chaired the Council of Pharmacy Schools (Australia and New Zealand); he is the chair of the APC Accreditation Committee and was the chair of the Australian Pharmacy Liaison Forum in 2011. He has taught across a range of subjects to the second and third years of the BPharm (Hons) course at UQ. Nick has supervised and co-supervised over 45 PhD and research Masters students. In 2013 Nick was awarded the Pharmaceutical Society of Australia’s Bowl of Hygeia for services to the profession. Noble, Christy, Coombes, Ian, Nissen, Lisa, Shaw, Paul N. and Clavarino, Alexandra (2014) Pharmacy educators' intention for the curriculum: An Australian pilot study. Pharmacy Education, 14 1: 48-56. Noble, Christy, Coombes, Ian, Shaw, Paul Nicholas, Nissen, Lisa M. and Clavarino, Alexandra (2014) Becoming a pharmacist: the role of curriculum in professional identity formation. Pharmacy Practice, 1 12: 380. Dart, Jared M., Jackson, Claire L., Chenery, Helen J., Shaw, Paul N. and Wilkinson, David (2010) Meeting local complex health needs by building the capacity of general practice: The University of Queensland GP super clinic model. Medical Journal of Australia, 193 2: 86-89. Is there a surplus of pharmacists? Plunkett, W., Nissen, L. and Shaw N. (2010) Is there a surplus of pharmacists?. Pharmacy News, October: . Wibawa, J. I D, Sherwood, P. V., Barrett, D. A., Shaw, P. N. and Spiller, R. C. (2000) Gastric transfer of metronidazole in the rat. Journal of Pharmacy and Pharmacology, 52 9 SUPPL.: . Finch, Roger G. A., Holliday, manda P., Innes, Andrew, Burden, Richard P., Morgan, Anthony G., Shaw, P. Nicholas, Harding, Ian and Wale, Martin C. J. (1996) Pharmacokinetic behavior of intraperitoneal teicoplanin during treatment of peritonitis complicating continuous ambulatory peritoneal dialysis. Antimicrobial Agents and Chemotherapy, 40 8: 1971-1972. Hyde, R.T., Shaw, P.N., Jackson, D.E. and Woods, K. (1995) Integration of molecular modelling algorithms with tutorial instruction: Design of an interactive three-dimensional computer-assisted learning environment for exploring molecular structure. Journal of Chemical Education, 72 8: 699-702. Gaskin, Peter J., Adcock, Harriet J., Buckberry, Lorraine D., Teesdale-Spittle, Paul H and Shaw, P. Nicholas (1995) The C-S lysis of L-cysteine conjugates by aspartate and alanine aminotransferase enzymes. Human and Experimental Toxicology, 14 5: 422-427. Buckberry, L. D., Blagbrough, I. S., Bycroft, B. W. and Shaw, P. N. (1994) Human renal, hepatic and pulmonary C-S lyases: Possible catalysts for the biosynthesis of toxic thiols in Phase 3 metabolism. Pharmaceutical Science Communications, 4 2: 107-116. Buckberry, L.D., Adcock, H.J., Adler, J., Blagbrough, I.S., Gaskin, P.J. and Shaw, P.N. (1994) In vitro methods for the assessment of L-cysteine conjugate toxicity. Alternatives to Laboratory Animals, 22 2: 72-80. Barrett, D.A., Simpson, J., Rutter, N., Kuriharabergstrom, T., Shaw, P.N. and Davis, .S. (1993) The pharmacokinetics and physiological effects of buprenorphine infusion in premature neonates. British Journal of Clinical Pharmacology, 36 3: 215-219. Buckberry, L.D., Blagbrough, I.S., Bycroft, B.W. and Shaw, P.N. (1993) Bovine pulmonary, hepatic and renal tissues: models for the study of mammalian C-S lyase enzymes. Alternatives to Laboratory Animals, 21 3: 360-370. Elias-Jones, A.C., Barrett, D.A., Rutter, N., Shaw, P.N. and Davis, S.S. (1991) Diamorphine infusion in the preterm neonate. Archives of Disease in Childhood, 66 10: 1155-1157. Damani, L. A., Temple, D. J., Van Bladeren, P. J., Mitchell, S. C., Oldham, H. G., Shaw, P. N., Waring, R. H. and Wilson, I. D. (1988) Sulphur Symposium 1988. Drug Metabolism and Drug Interactions, 6 3-4: . Shaw, P.Nicholas, Tseti, Julia, Warburton, Susan, Adedoyin, Adedayo and Houston, J.Brian (1986) Inhibition of antipyrine metabolite formation. Steady state studies with cimetidine and metyrapone in rats. Drug Metabolism and Disposition, 14 2: 271-276. Xie, Nan, Cabot, Peter, Shaw, Paul N., Sturgess, David and Parat, Marie-Odile (2016). Establishment of new methods to quantify the Mu-opioid and Tlr-4 receptor activation potential in biological samples to assess the influence of opioids on tumor metastasis. In: Asia-Pacific Journal of Clinical Oncology. COSA's 43rd and ANZBCTG's 38th Annual Scientific Meetings. Partners for Progress in Breast Cancer Research and Care, Gold Coast, QLD, Australia, (114-115). 15–17 November 2016. Parat, M. O., Xie, N., Cabot, P., Shaw, N., Gregory, K. and Sturgess, D. (2015). Quantification the mu-opioid and TLR4 receptor activation potential in the circulation of mice and humans to assess the influence of morphine on tumour metastasis. In: Australian and New Zealand College of Anaesthetists Annual Scientific Meeting, Adelaide AU, (). 2-5 May 2015. Nelis, Samantha, Kirkpatrick, Carl, Hennig, Stefanie, Nissen, Lisa and Shaw, Nick (2013). Application of population modelling to improve the estimation of drug withdrawal times in racehorses. In: 15th Annual Population Approach Group Australia and New Zealand Meeting (PAGANZ 2013), Brisbane, QLD, Australia, (). 13-15 February 2013. Noble, Christy, Coombes, Ian, Nissen, Lisa, O'Brien, Mia and Shaw, P. Nicholas (2010). Experiencing the pharmacy curriculum: Results of an observational study. In: Proceedings of the Australasian Pharmaceutical Science Association Annual Conference 2010. Focus on the Future: Research and Education for a Healthier Community, Brisbane, Qld, Australia, (101). 6-9 December 2010. Coombes, Ian, Nissen, Lisa, Noble, Christy and Shaw, P. Nick (2009). Becoming a pharmacist: Interns’ perceptions of undergraduate curricula. In: S. Aldous, G. Peterson, G. Jacobson and L. Bereznicki, Australasian Pharmaceutical Science Association Annual Conference 2009 : Program and Abstracts. Australasian Pharmaceutical Science Association Conference, Hobart , Tasmania, Australia, (). 9-12 December 2009. Taing, Meng-Wong, Wilkinson, Ashley, Pierson, Jean-Thomas, Wu, Tina, Shaw, Paul N., Gidley, Mike, Roberts-Thomson, Sarah J. and Monteith, Gregory R. (2009). Characterisation of mango bioactives using calcium fluxes in MCF-7 breast cancer cells. In: ASCEPT 43rd Annual Scientific Meeting 2009: The Rights of Medicines, Darling Harbour, NSW, Australia, (). 29 November-2 December 2009. Current Australian pharmacy undergraduate curriculum - are we really preparing graduates for the future? Noble, Christy, Nissen, Lisa M., Shaw, Paul N. and Coombes, Ian (2009). Current Australian pharmacy undergraduate curriculum - are we really preparing graduates for the future?. In: 5th Pharmacy Education Symposium. Fitness to Practice: Competency-based teaching and learning in Pharmacy, Prato, Italy, (38). 6-8 July 2009. Pierson, Jean-Thomas, Wilkinson, Ashley, Shaw, Paul N., Gidley, Mike, Roberts-Thomson, Sarah J. and Monteith, Gregory R. (2009). Screening for mango bioactives of relevance for pharmaceutical and nutraceutical applications. In: ASCEPT 43rd Annual Scientific Meeting 2009, Sydney, NSW, (). 29 November - 2 December 2009. Nelis, S., Sievers, A., Bailey, P., Davies, P., Young, E. B., Bryden, W. L., Cawdell-Smith, A. J., Shaw, N., Kirkpatrick, C. and Nissen, L. (2008). A study of intravenous administration of furosemide in the horse. In: Proceedings of the Australian Equine Science Symposium. Research for the 21st Century Horse Industry: From Genomics to the Winning Post., Gold Coast, Australia, (46-46). 4-6 June, 2008. Shaw, N. (2004). Pharmacist prescribing: The UK-NHS approach. In: Bridging the Great Divide. SHPA Qld Branch Conference, Toowoomba, (18-18). 16-18 July 2004. Fan, M.Q., Holmes, V., Laughton, C.A., Shaw, P.N., Barrett, D.A. and Bell, D.R. (2002). Study of the residues in conserved C-helix region of CYP4A1: Bacterial expression and mutagenesis. In: BTS Annual Congress. BTS Annual Congress, Canterbury, United Kingdom, (42-43). 7-10 April 2002. Sherwood, P.V., Wibawa, J.I.D., Barrett, D.A., Shaw, P.N., Jenkins, D. and Spiller, R.C. (2001). Effect of Helicobacter gastritis on gastric antibiotic secretion in man. In: Abstracts of the Annual Meeting of the British Society of Gastroenterology. Annual Meeting of the British Society of Gastroenterology, Unknown, (A31-A31). 2001. Sherwood, P.V., Wibawa, J.I.D., Jordan, N., Barrett, D.A., Shaw, P.N. and Spiller, R.C. (2001). Gastric secretion of amoxicillin and metronidazole is increased by pronase, a luminal mucolytic. In: Abstracts of the Annual Meeting of the British Society of Gastroenterology. Annual Meeting of the British Society of Gastroenterology, Unknown, (A15-A15). 2001. Sherwood, P.V., Wibawa, J.I.D., Fowkes, D.P., Goddard, A.F., Barrett, D.A., Shaw, P.N. and Spiller, R.C. (2000). An improved model and HPLC assay for studying gastric amoxicillin transfer. In: Abstracts of the Annual Meeting of the British Society of Gastroenterology. Annual Meeting of the British Society of Gastroenterology, Unknown, (A90-A90). 2000. Sherwood, P. V., Wibawa, J. I., Goddard, A. F., Barrett, D. A., Shaw, P. N. and Spiller, R. C. (1999). Acid secretion determines gastric metronidazole transfer. In: -, -, (A309-A309). -. McKeown, A. P., Barrett, D. A. and Shaw, P. N. (1998). Investigating the retention behaviour of oligonucleotides by reversed-phase ion-pair HPLC. In: National Meeting of the American Chemical Society, Boston, Massachusetts, USA, (U160-U160). 23-27 August 1998. McKeown, A. P., Barrett, D. A. and Shaw, P. N. (1998). Migration behaviour and electrophoretic mobility of mononucleotides and oligonucleotides using CZE. In: National Meeting of the American Chemical Society, Boston, Massachusetts, USA, (U159-U159). 23-27 August 1998. Power, G. M., Barrett, D. A., Davies, M. C., Pitfield, I. D. and Shaw, P. N. (1998). The study of BSA adsorption onto model reversed phase chromatography surfaces using surface plasmon resonance. In: National Meeting of the American Chemical Society, Boston, Massachusetts, USA, (U796-U796). 23-27 August 1998. Power, G. M., Barrett, D. A., Davies, M. C., Pitfield, I. D. and Shaw, P. N. (1998). The use of ATR-FTIR to study the adsorption of bovine serum albumin onto model reversed-phase chromatography surfaces. In: National Meeting of the American Chemical Society, Boston, Massachusetts, USA, (U800-U800). 23-27 August 1998. Goddard, A. F., Erah, P. O., Atherton, J. C., Shaw, P. N., Barrett, D. A. and Spiller, R. C. (1997). Effect of H-pylori, aspirin & anoxia on antibiotic permeability in the rat stomach. In: -, -, (A128-A128). -. Goddard, A.F., Erah, P.O., Atherton, J.C., Shaw, P.N., Barrett, D.A. and Spiller, R.C. (1997). Effect of H-pylori, aspirin & anoxia on antibiotic permeability in the rat stomach. In: Abstracts of the Annual Meeting of the British Society of Gastroenterology. Annual Meeting of the British Society of Gastroenterology, Unknown, (W21-W21). 1997. Goddard, A.F., Erah, P.O., Curtis, H., Barrett, D.A., Shaw, P.N. and Spiller, R.C. (1997). Omeprazole reduces the gastric absorption of amoxycillin: evidence for systemic delivery to H-pylori. In: Abstracts of the Annual Meeting of the British Society of Gastroenterology. Annual Meeting of the British Society of Gastroenterology, Unknown, (A97-A97). 1997. McGee, J. P., Palin, K. J. and Shaw, P. N. (1989). Pharmacokinetics of trilostane in the rat following intravenous administration. In: British Pharmaceutical Conference, -, (88-88). 1989. Blagbrough, I. S., Bycroft, B. W., Evans, D. C. and Shaw, P. N. (1989). Substrates for rat renal C-S lyase. In: British Pharmaceutical Conference, -, (148-148). 1989. Blagbrough, I. S., Daykin, M. M., Doherty, M., Pattrick, M. and Shaw, P. N. (1989). Synovial fluid and plasma levels of extended release ibuprofen in osteo- and rheumatoid arthritis. In: Unknown, Unknown, (). Unknown. Does CD14 mediate the effects of opioids on TLR4? Can perioperative pharmacotherapy of the cancer surgery patient influence residual disease? Pharmacy Curriculum: Where is the patient in patient-centred care? Transformational Processing of Human Milk. Investigation into Immuno-Stimulating COMplexes and Saponin Quil A.